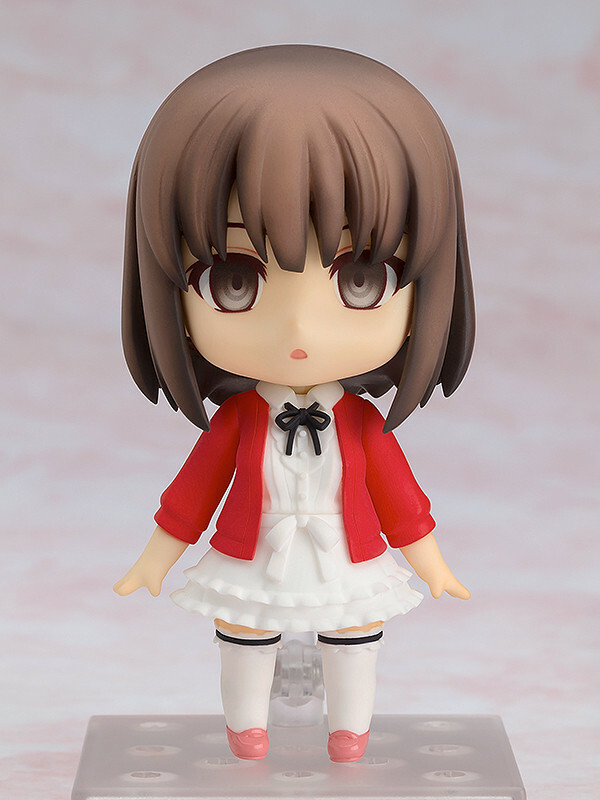 Nendoroid Megumi Kato: Heroine Outfit Ver. 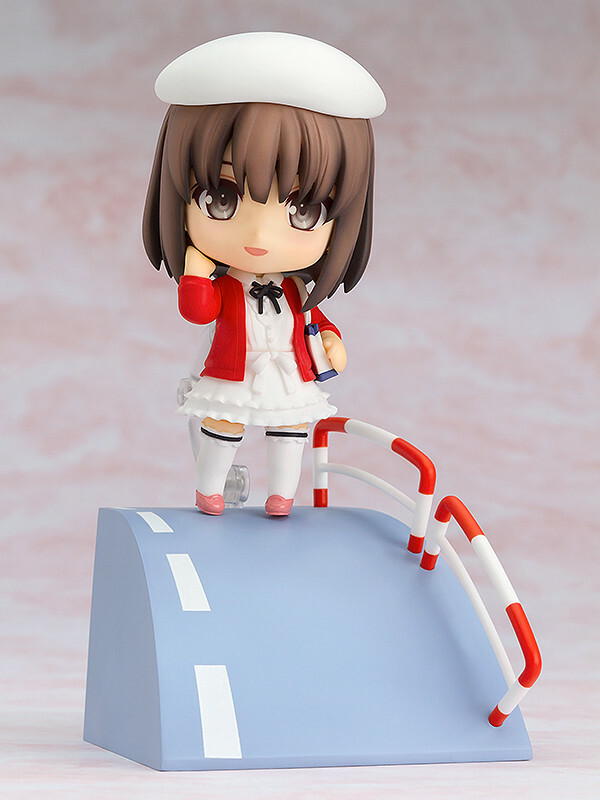 From "Saekano: How to Raise a Boring Girlfriend" comes a Nendoroid of the main heroine Megumi Kato wearing her heroine outfit! The outfit that she first met Tomoya in, which also plays an important role in the series, is finally joining the Nendoroids! 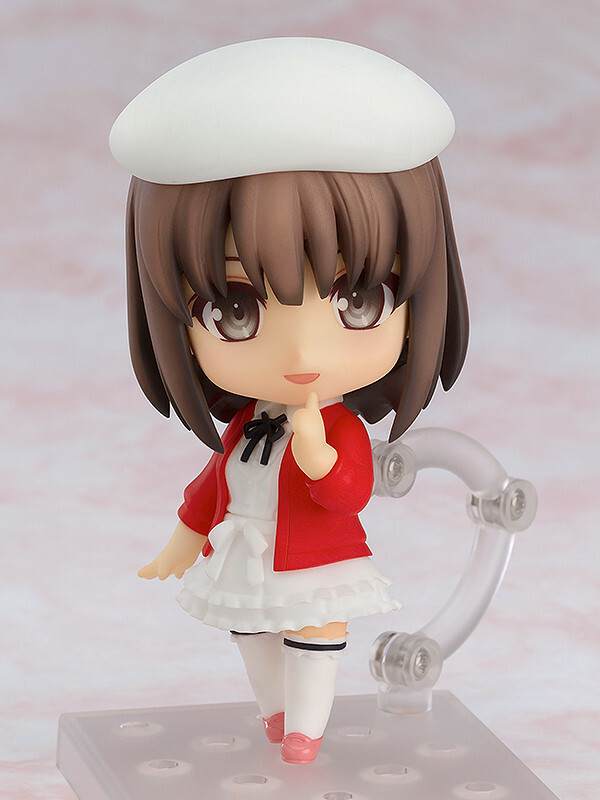 The beret style hat that has always been a rather iconic part of the outfit has also been included in Nendoroid size, and comes in two different sizes allowing you to display her either wearing or holding it. She comes with three face plates including a smiling face, a blank face for when she ignores Tomoya as well as a crying expression. 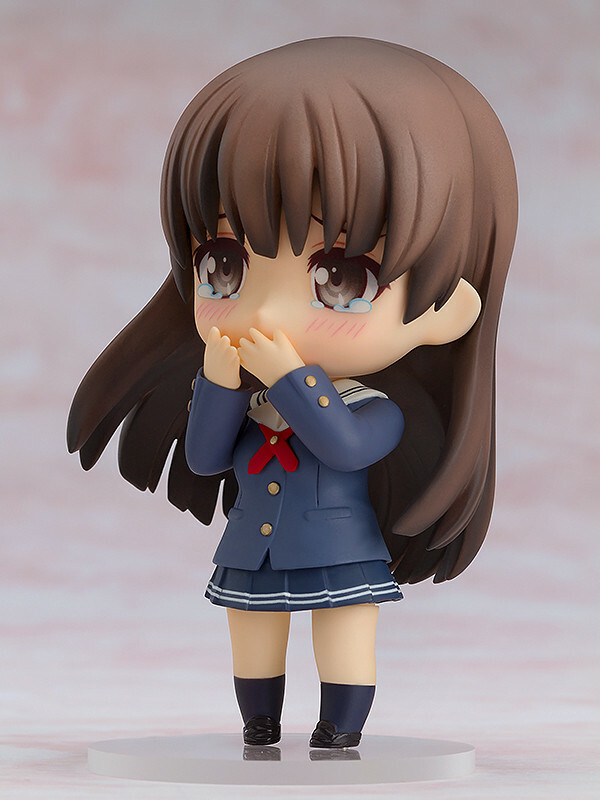 An alternate arm wearing her school uniform can be used together with the crying face and the previously released Nendoroid Megumi Kato in order to recreate the scene from the broadcast room in the 7th volume of the original novel. 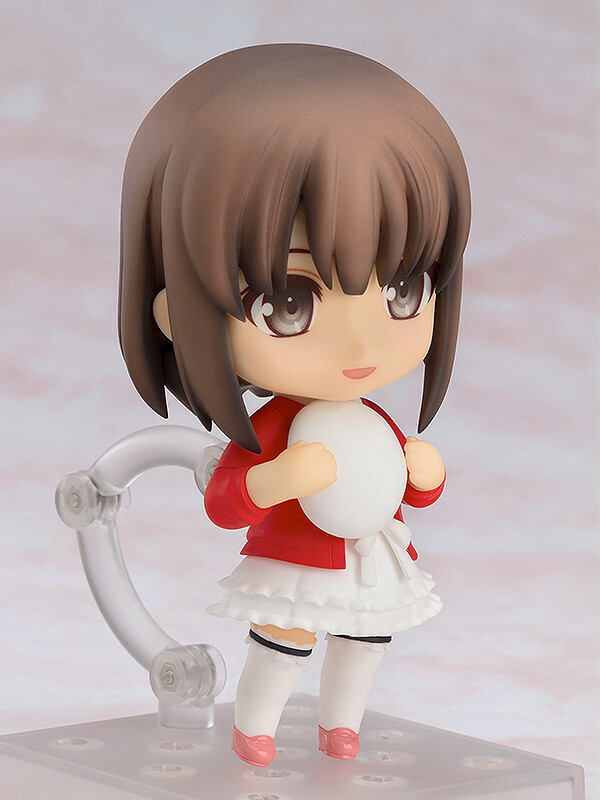 The Nendoroid also features a special hill base in order to recreate the first meeting scene and really bring out the heroine power of Megumi in Nendoroid form! Be sure to add her to your collection! Preorders will be open from 22nd August 2017 (Tue) from 12:00JST until 21st September 2017 (Thu) at 12:00JST.